The Noga DG9038CA CineArm DG (Medium) is composed of three-joints that can be quickly and efficiently locked or released using a kip lever-based central mechanism. 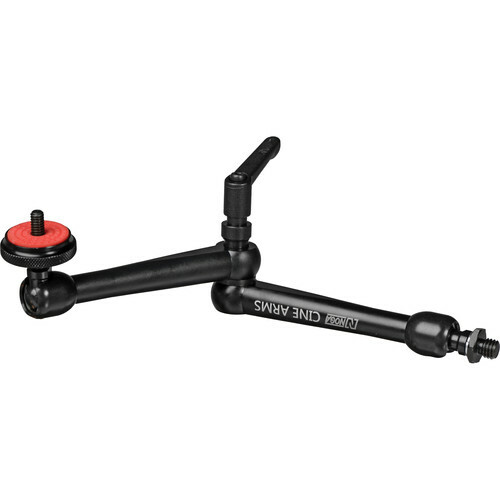 All three-joints can be simultaneously locked using the single central locking knob. While supporting camera lights and monitors, you can move the arm horizontally or vertically, as well as achieve tilt adjustments to obtain the best possible view. With equal length on both sides, the arm offers increased strength and holding resistance.